There are many bankruptcy lawyers in Sacramento, and choosing the right one can be difficult. Bankruptcy lawyers in Sacramento mostly charge flat fees. However, most bankruptcy lawyers also charge hourly rates for certain services that are not normally encountered in bankruptcy cases, For instance, bankruptcy lawyers may charge a separate hourly rate for adversarial proceedings since most bankruptcy cases do not involve adversarial proceedings, and by excluding this service from their flat fee bankruptcy lawyers are able to pass lower fees onto the majority of their clients. 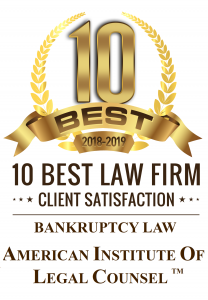 If you are looking for bankruptcy lawyers we encourage you to call Sacramento Law Group at (916) 596-1018 to receive a free, no-obligation consultation. Many bankruptcy lawyers in Sacramento graduated from local law schools. Law schools in the greater Sacramento area include UC Davis, Lincoln Law School, McGeorge School of Law, and Northwestern California University School of Law. Apart from UC Davis and McGeorge School of Law, few other law schools in Sacramento, CA are Tier 1 law schools. Northwestern California University School of Law is unique in that it is an online law school. The online law school grants degrees after completion of a 4 year online program that enables recipients to take the California State Bar exam and thereafter practice law in California. Bankruptcy lawyers in Sacramento practice bankruptcy law in the Eastern District of California, and often appear before the Sacramento Division of the U.S. bankruptcy court. If parking in the downtown is a concern, some local bankruptcy lawyers practice in the Arden Arcade area. Other bankruptcy lawyers practice in the towns and cities of Roseville, Elk Grove, Fair Oaks, and Natomas. Many bankruptcy lawyers in Sacramento have websites with electronic contact forms. For instance, sacramentobankruptcyattorney.us has a “Quick Contact” form on the sidebar by which website visitors can message our office. If electronic communication is not preferred, virtually every bankruptcy lawyer has a local telephone number. Sacramento Law Group’s phone number is (916) 596-1018. Bankruptcy lawyer Adam Garcia practices chapter 7 and chapter 13 bankruptcy law in Sacramento, CA. As a bankruptcy lawyer Adam Garcia helps individuals in financial distress achieve debt relief through bankruptcy. In chapter 7 bankruptcy Mr. Garcia seeks to eliminate dischargeable debt and maximize exempt property. In chapter 13 bankruptcy Mr. Garcia consolidates debts and creates chapter 13 debt repayment plans. The bankruptcy lawyer strives to maintain excellent communication with clients and uses technology such as email to enhance attorney-client communication. The bankruptcy lawyer primarily charges flat fees for chapter 7 and chapter 13 bankruptcy representation, and only charges an hourly rate for excluded services such as representation in adversarial proceedings.